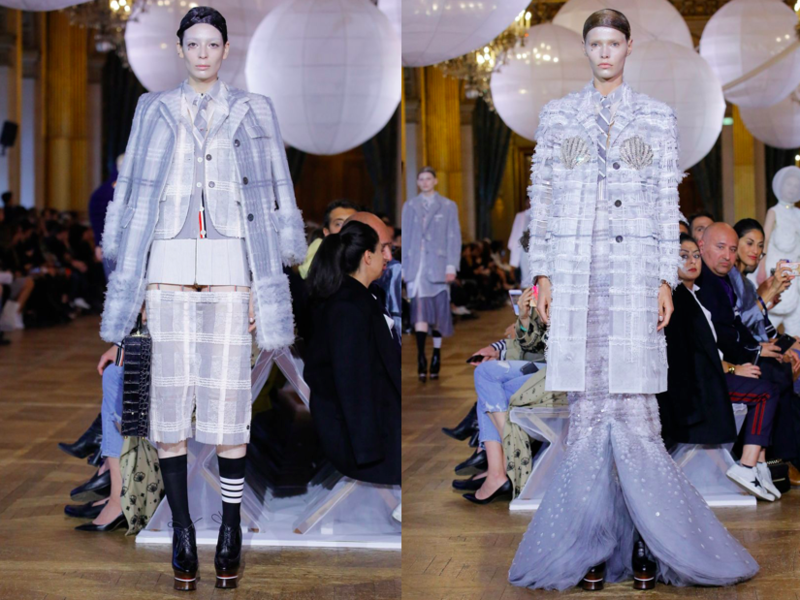 Thom Browne‘s debut womenswear show in Paris suggests one thing: sometimes, one collection is better than dozens of other designer line-ups and for me, he won over every single designer in Paris. With his unique, artistic sensitivity for couture-ish ready-to-wear, Browne’s collections are not just about fancy dresses – they are entire spectacles, modern-day fairy-tales. For spring summer 2018, the New York-based designer had “two girls dreaming of unicorns and mermaids, and all the things that little girls dream of” as initial point of departure. 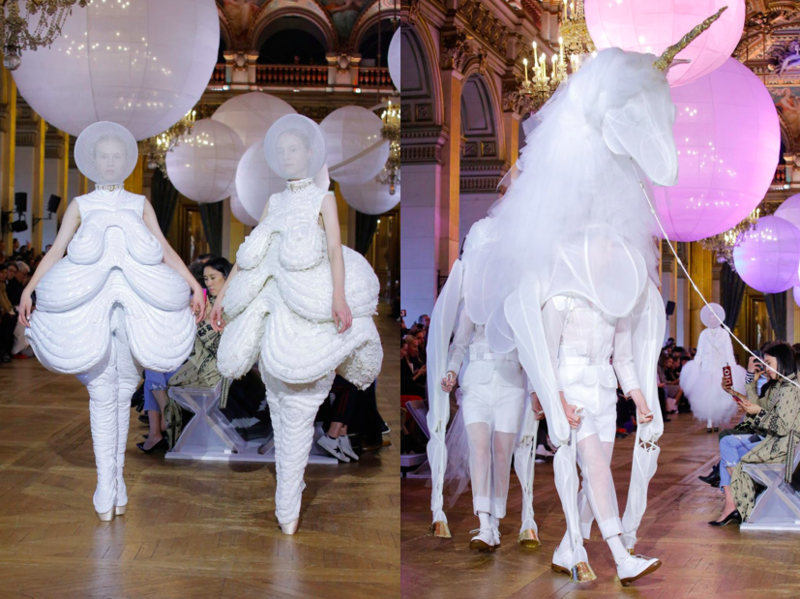 Indeed, there was an all-white unicorn on the runway, ‘worn’ by two models. A mermaid has also appeared, wearing a plaid coat and intricately embellished gown. But there were also fairies wearing feather-trimmed jackets, mischievous captain ladies, haunted widows and a Goddess of sun. There was something of a magical and mystical narration in the collection. It’s rare to have a walking skeleton (no, not printed, but delightfully embellished) in your fashion show. Or see a dress with an attached, silk octopus sculpture on the back, with its tentacles covering the model’s body. Another look was spun from spongy clouds of tulle, that trailed behind the model like sea-foam, as she walked down the runway. I see no obstacles to call this is the most phenomenal collection of this Paris fashion week. Or even, of the entire season. I am in a fantasy world. 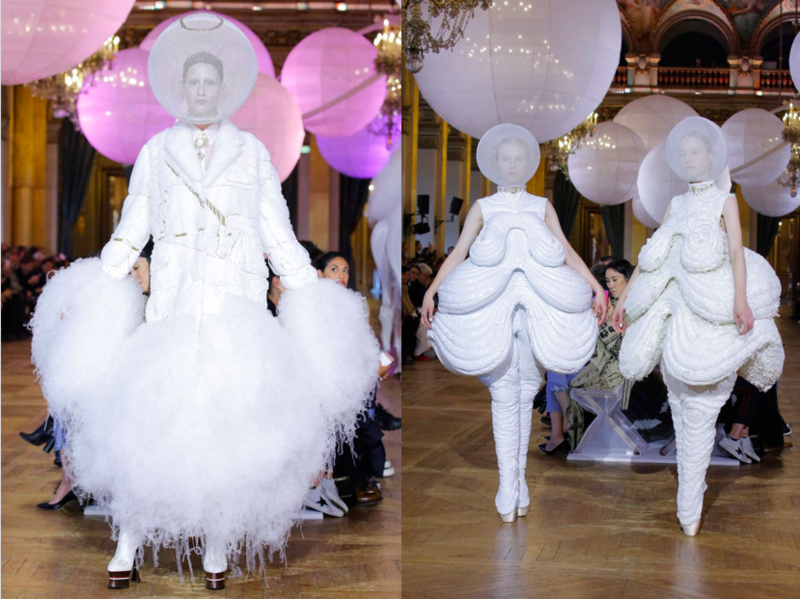 This entry was posted in Fashion, Paris and tagged paris fashion week, pfw, SS18, thom browne. Bookmark the permalink.